Welcome to the Batman Car Seat Giveaway! Kids Embrace know that to keep kids safe in their seats, they have to actually be willing to sit in a car seat! They solve this problem by offering seats with characters that kids love, like this Batman seat. This seat features side impact protection, a weight limit from 22 - 65 pounds, 5-point harness, two-position recline, wraparound headrest, machine washable cover, two cupholders and a high impact thermoplastic seat shell. Another really cool feature of this seat is that it comes with a Batman cape that doubles as a blanket! One lucky winner is going to take home a Batman car seat for their little guy or gal! To enter, simply fill out the Rafflecopter form below. One entrant per household, please! The giveaway will end on March 3, 2014 at 11:59 p.m. Good luck, everyone! *This blog has not been compensated for hosting this giveaway. 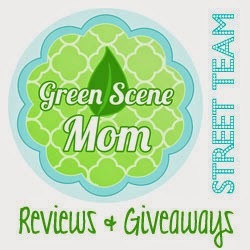 This giveaway is in no way affiliated with Pinterest, Facebook or Twitter. The sponsor is responsible for prize fulfillment. I like Dora and Batman. Spongebob would be my little guy's favorite. Thanks...these are so adorable. My daughter's favorite is Spongebob!